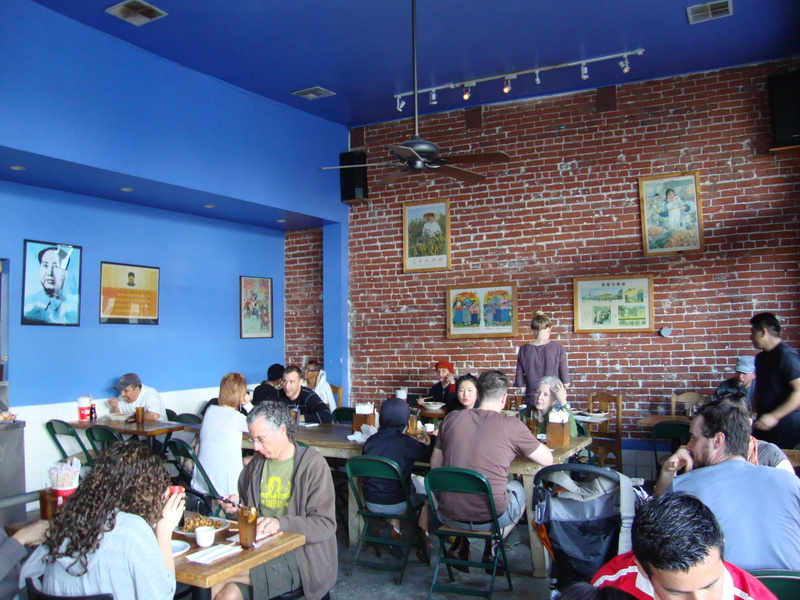 Any visit to LA is not complete without a visit to Venice Beach’s Mao’s Kitchen. 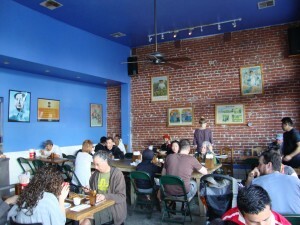 I first went to Mao’s back in 2005, long before this blog and long before “Just for Fun,” but I have always remember it as a fun, good Chinese restaurant with surprisingly authentic food. On a visit back to L.A. a few weeks ago, a return to Mao’s Kitchen was high on the list of things to do. Of course I dragged along my friend who first introduced me to Mao’s Kitchen, but who now doubted if Mao’s was truly authentic or any good. She hadn’t been back since our last visit, and it gave me pause too – what if the reality of Mao’s Kitchen didn’t hold up to my memories? Could I live with the disappointment? In the end, I threw caution to the wind and decided to go. After a long bike ride down the coast from Malibu, my dining companion and I arrived on Mao’s doorstep famished, the way one wants to be when going to Mao’s so as to fit more food into one’s stomach. The outside was not what I remembered; it seemed more upscale, more put together. Was this the Mao’s of my memories? Between the two of us, we ordered three dishes and one appetizer, all of which were vegetarian (meat options abound but my dining companion was vegetarian, so we stuck with veggies). I’m not a fan of egg rolls but at a dollar a piece, we decided to order one and split it. The egg roll is pure vegetarian, filled with shredded carrots and cabbage. 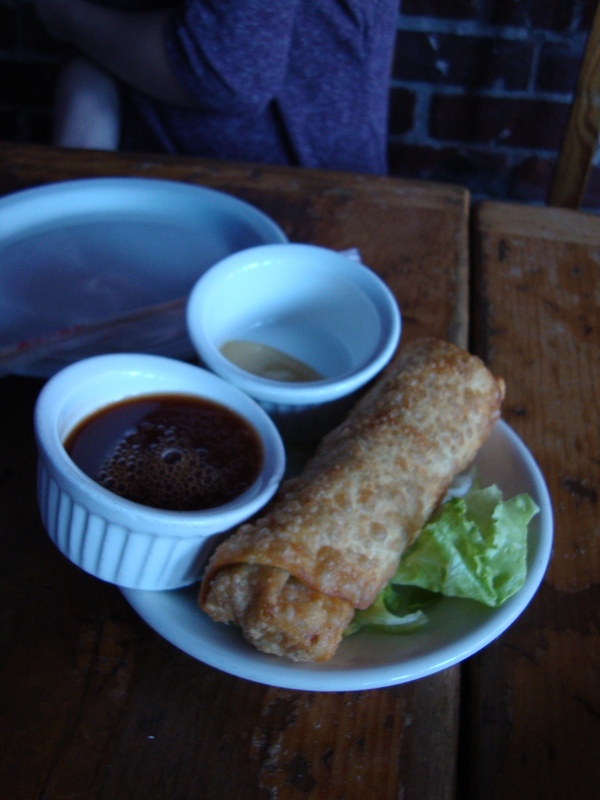 Although lightly fried – with little grease on it – the egg roll itself is not memorable. But the Mao’s proprietary dipping sauce – a subtle sweet and sour-like sauce – and the hot mustard make it an interesting experience. The mustard makes for a precarious situation – a little too much and you feel its effects shoot up your nose but not enough and the egg roll lacks flavor. 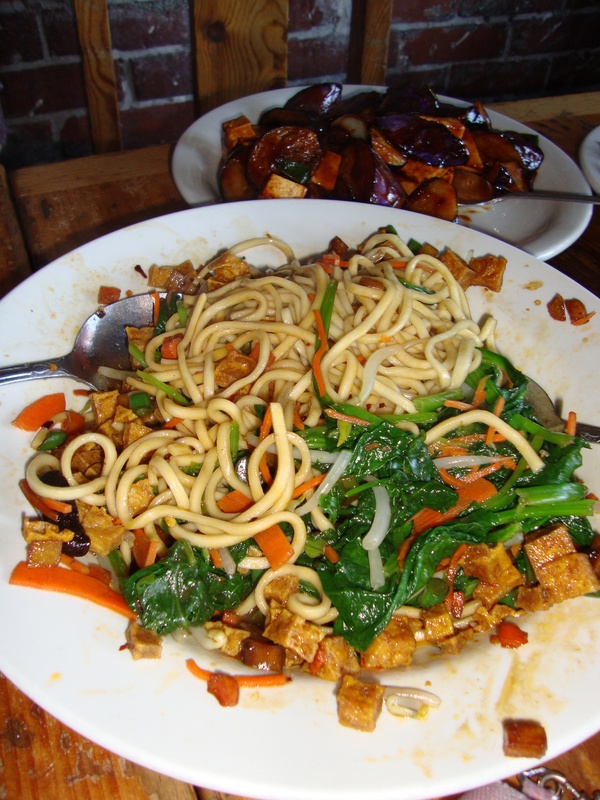 The second dish to arrive was the culinary king of the restaurant – Mao’s Kitchen’s Dandan Noodles. I hesitated when it first arrived – it did not look like all the other dandan noodles I have had. Normally, dandan noodles are a small dish, with the noodles covered with a watery, oily, and spicy chili and sesame seed sauce. Mao’s dandan noodles were decidedly different – first, the dish was colossal with enough noodles to feed at least five people. Second, you could actually see the noodles – they were not completely immersed in that soupy, oily chili sauce that has become somewhat repetitive in Sichuan cooking. In fact, there was no remnants of an oily sauce to speak of. understand the seriousness of that statement). The freshness of the homemade noodles, boiled perfectly al dente, was complemented perfectly by the fullness of all the other flavors; dandan noodles are often over powered by that chili sesame seed sauce. But here, without the drenching sauce, the freshness of the spinach and carrots came through while maintaining that Sichuan chili flavor. The balance of all the flavors is perfectly sublime and the tofu was just lightly fried and crispy enough that it also had its own flavor to add. 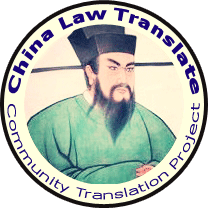 As new dinners sat down around us, we couldn’t help but recommend the dandan noodles to everyone – unfortunately one of our neighbors had a gluten allergy but her friend, after our recommendation, order it with impunity. Yes, these dandan noodles are worth losing friends over. dandan noodles made it hard to move on to another dish, but alas we had to. 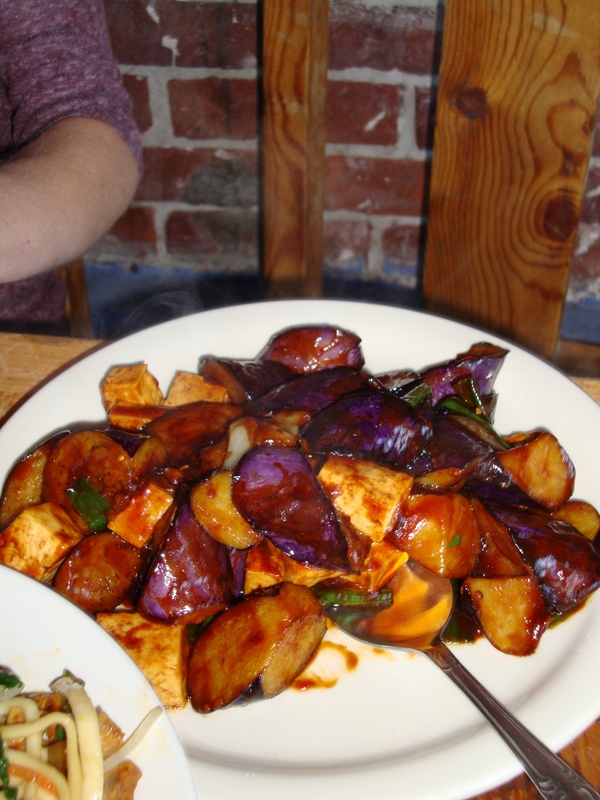 The Sichuan Eggplant is just another name for Eggplant with Fish-Fragrant Sauce (yuxiang qiezi 鱼香茄子), although the flavoring has nothing to do with fish but instead is a mix of sweet, salty, and spicy flavorings. 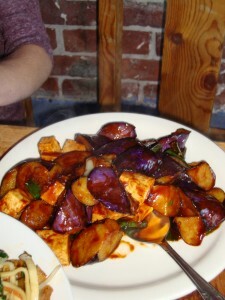 Mao doesn’t do Sichuan Eggplant different from the rest, but it does do it better. 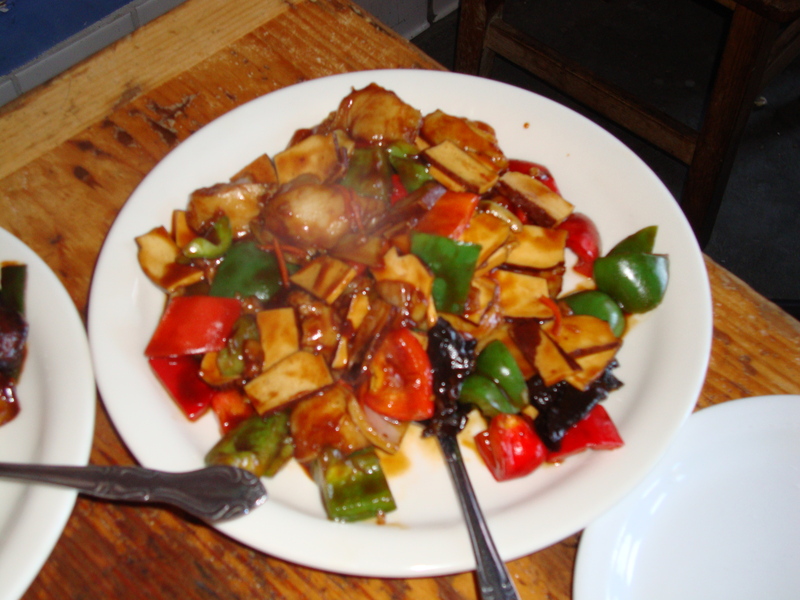 With extremely fresh and firm eggplant not caked in yuxiang sauce and a yuxiang sauce not covered with oil spots, the flavorings of this dished helped to quiet the taste buds after the dandan noodles. but my dining companion was sorely disappointed. For her, the fish was the dish’s only saving grace – without the fish, the dish would be overly sweet. The smoked tofu and the mushrooms are overpowered by the sauce; but the fish more than holds its own. If you like sweet you will still like this dish – certainly not the best on the menu, but still alright. 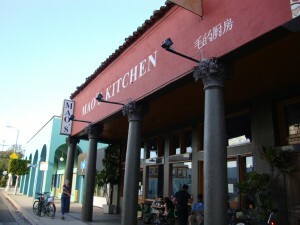 Mao’s Kitchen is an amazing experience – the dandan noodles alone make it a landmark. But the other dishes are also excellent. In fact, at the end of the meal, my friend and I were able to recall what we ordered the last time – the salt and pepper fish. If only we had ordered that again this time instead of the Mao’s Hometown, Mao’s Kitchen likely would have gotten five stars. But 4.5 stars make it well worth the trip. What sets Mao’s Kitchen apart from other Chinese restaurants is the freshness of its vegetables, the lightness of its frying, its ability to capture each enormous flavor, and the awesomeness of its décor. Finally at $38 for three massive dishes (which provided leftovers for two days), it’s a great deal.